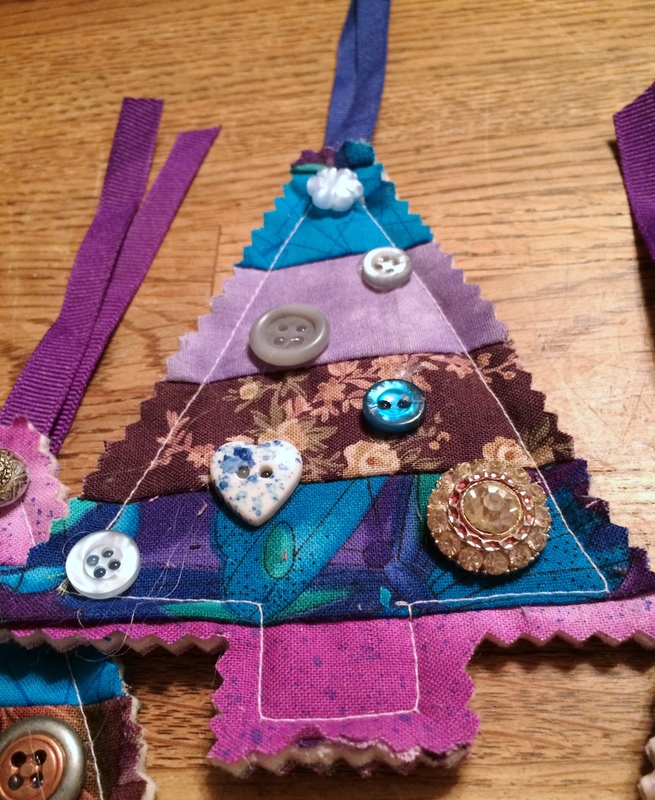 Ornament #1 – Patchwork Christmas trees. 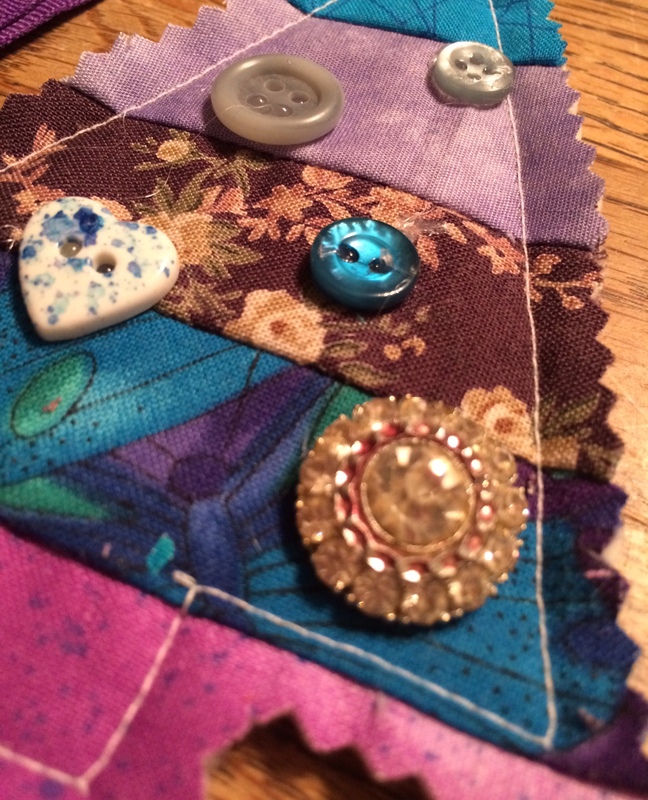 This ornament idea caught my eye because I finally found a cute way to use up my fabric scraps. 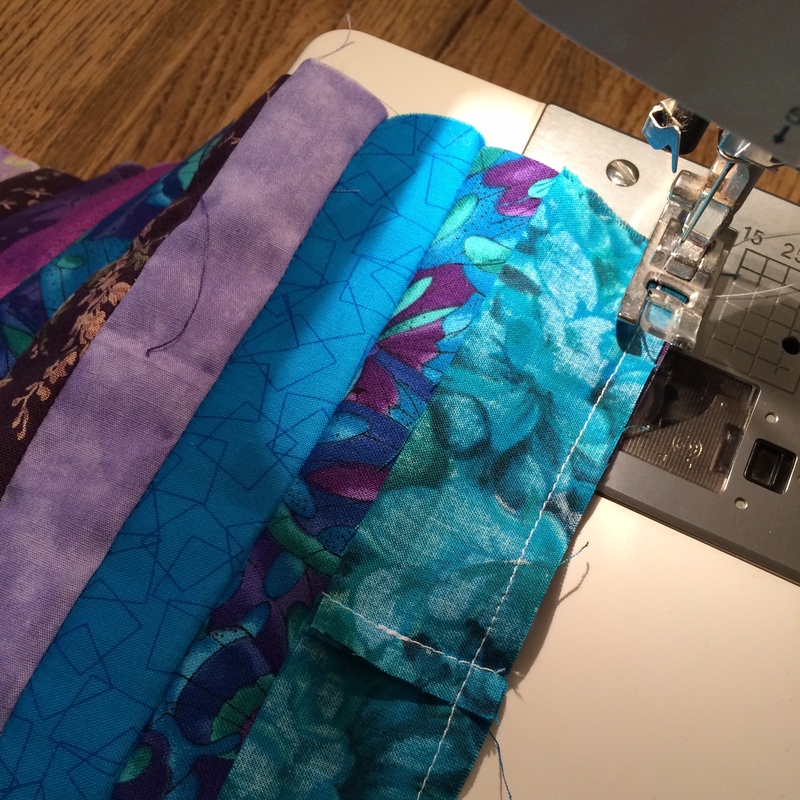 I took strips of fabric that I cut with my Fiskars Rotary Cutter & Ruler. 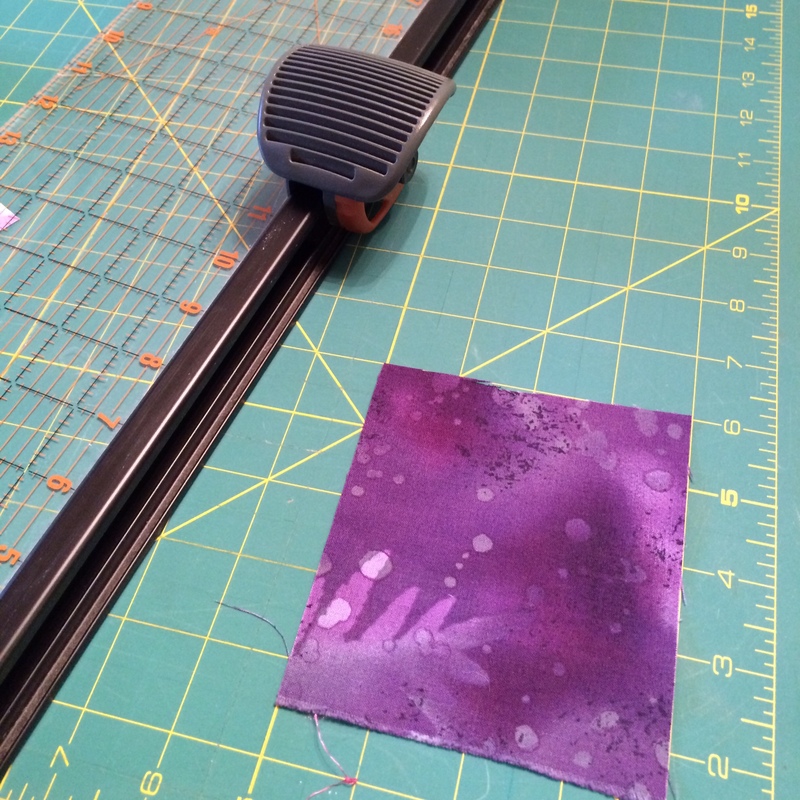 My brother bought it for me several years ago and it’s my go to sewing tool for cutting precise lengths of fabric. 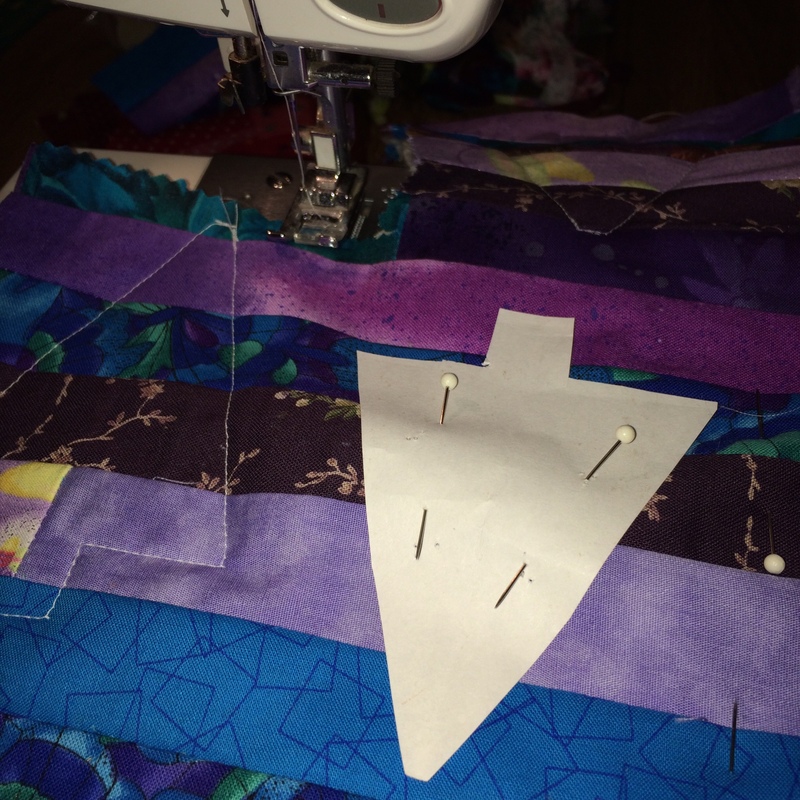 I sewed the 1 1/2″ strips together, cut the whole piece in half, sandwiched a piece of quilt batting between two layers, and cut out tree shapes using a paper pattern I made. I used my pinking shears to finish the edges and added a piece of ribbon to hang the ornament. 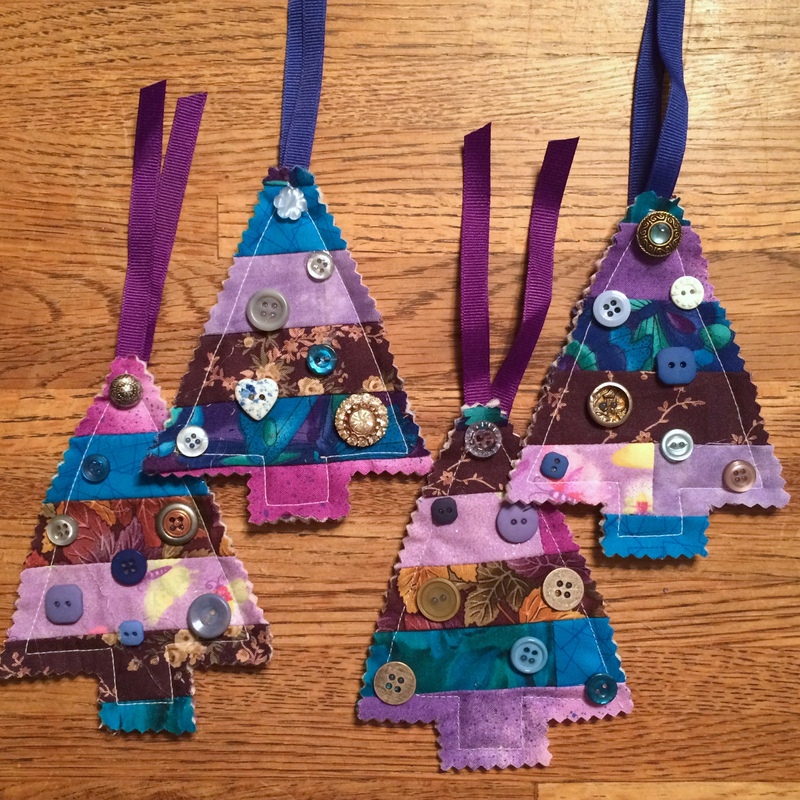 I hadn’t planned on it originally, but these little trees just screamed for ornaments of their own so I scoured my button collection and am I’m really pleased with how these turned out. 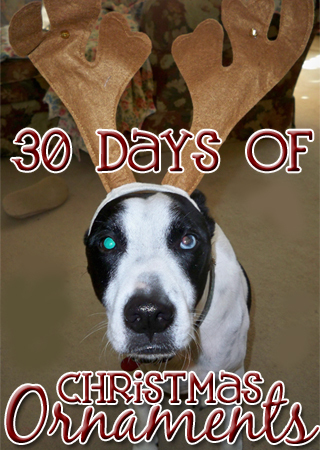 Item #23 – Make mini-albums of dogs for Christmas presents. 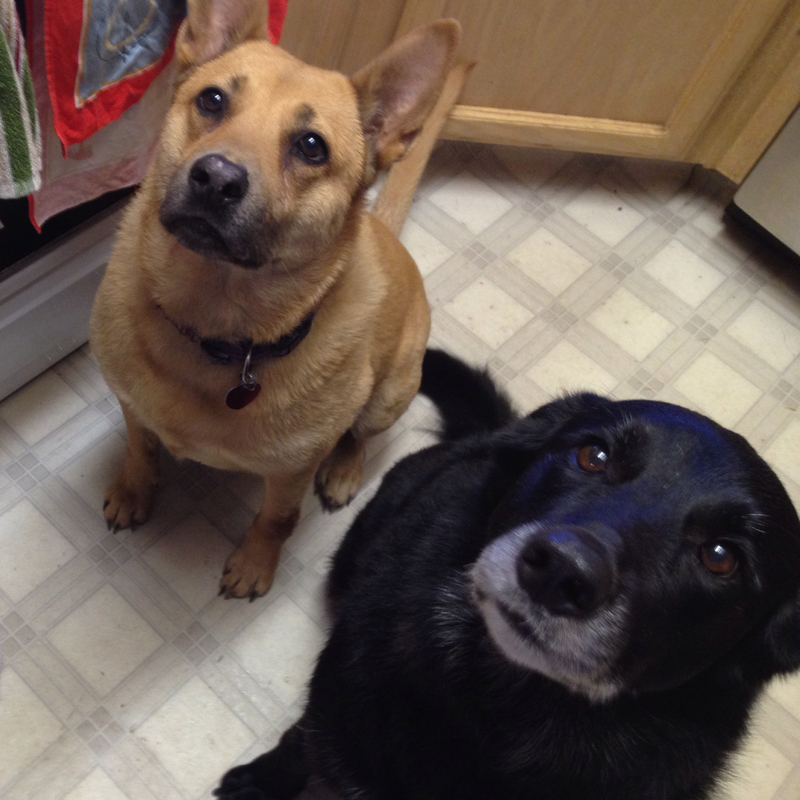 Throughout the year I take care of dogs for friends and family and I also take tons of pictures of the dogs. For Christmas, I want to give each person a mini-album of their dog. And yes, I’m aware that I’ve ruined the surprise. Question of the Day: What is your favorite Christmas carol? Our favorite carol is “Bark! The Herald Angels Sing”. Woody likes it too. This entry was posted in 30 Days of Christmas Ornaments, Accountability, Challenges and Contests, Christmas, Decorating, Dogs, Goals, Homemade, Pinterest, Quest46, sewing and tagged 30 Days of Christmas Ornaments, accountability, Challenges and Contests, Christmas, Decorating, Dogs, goals, homemade, Pinterest, Quest46, sewing. Bookmark the permalink. P.S. I love this ornament idea, they’re so pretty! I love that carol as well Michelle. Really makes it feel like Christmas. And thank you re: the ornament idea. 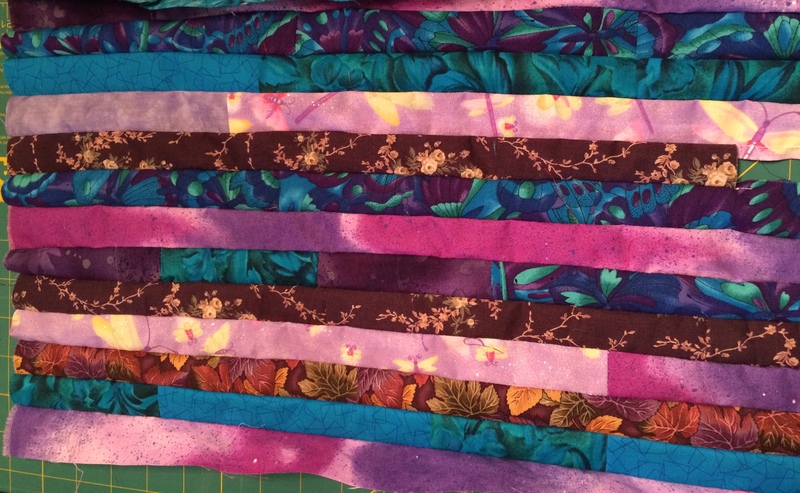 It was kind of exciting just pulling scraps out of my basket and playing with the color arrangement. I’m thinking these could make nice gift tags as well. O Holy Night – it has a beautiful message, and when the high notes are sung well it makes my soul soar. Totally agree Kathy. I still remember Damon’s friend who sung it a few years ago at church. Amazing. I used to sing with a Barbershop Chorus and our version of O Holy Night gave me chills.